Riddick (knee) was limited at Wednesday's practice, Dave Birkett of the Detroit Free Press reports. Analysis: Riddick hasn't practiced since the Lions' Week 6 bye, so any activity is welcome from the pass-catching back. His status bears watching as the week continues to discern whether he has a chance to return Sunday at Minnesota. Riddick (knee) has been ruled out for Sunday's game against the Seahawks, Michael Rothstein of ESPN.com reports. Analysis: This was the expected outcome after Riddick failed to practice in any capacity for a second straight week. His continued absence frees up playing time for Kerryon Johnson and Ameer Abdullah on passing downs. Riddick will hope to make it back for Week 9 against Minnesota. Riddick (knee) isn't participating in the open portion of Friday's practice, Dave Birkett of the Detroit Free Press reports. 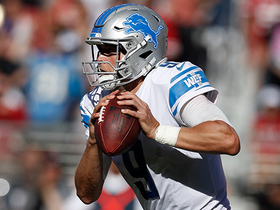 Analysis: Unable to practice throughout the week, Riddick seems to be headed for a second straight absence when the Lions host the Seahawks on Sunday. Kerryon Johnson got most of the snaps on passing downs last week, but Ameer Abdullah also had a small role. Riddick (knee) didn't participate in the portion of Thursday's practice that was open to the media, Dave Birkett of the Detroit Free Press reports. Riddick (knee) is listed as a non-participant on Wednesday's injury report, Michael Rothstein of ESPN.com reports. Analysis: Despite his presence at the open portion of practice, Riddick apparently didn't do enough to earn a "limited" designation. An absence for Sunday's game against the Seahawks would allow Kerryon Johnson to get most of the work on passing downs for a second straight week, though Ameer Abdullah (ankle) will also be in line for some snaps if his own injury isn't too serious. Riddick (knee) was present at the portion of Wednesday's practice open to the media, Dave Birkett of the Detroit Free Press reports. Analysis: If Riddick takes part in some drills, it would mark the first time he's practiced since the Lions' Week 6 bye. Birkett noted Riddick "didn't do much," so he's likely destined for a "limited" designation Wednesday, at best. Riddick (knee) has been ruled out for Sunday's game in Miami, Dave Birkett of the Detroit Free Press reports. Analysis: Riddick hasn't been able to practice since the Lions came back from a Week 6 bye. His upcoming absence will force the team to use Kerryon Johnson and/or Ameer Abdullah on passing downs. The potential for a bit of extra receiving work provides a boost to Johnson's Week 7 fantasy stock. Riddick (knee) isn't participating in practice Thursday, Dave Birkett of the Detroit Free Press reports. Riddick was held out of Wednesday's practice due to a knee injury. Analysis: It wasn't reported that Riddick picked up an injury in the aftermath of the Lions' Week 5 win over the Packers, so it's possible Riddick hurt his knee during practice Monday or Tuesday. Whatever the case may be, an absence after a bye week isn't a good sign for Riddick's availability heading into Sunday's road game against the Dolphins. Kerryon Johnson and Ameer Abdullah would both be viable candidates to handle passing-down work in the event of a Riddick absence. Riddick didn't take part in the portion of Wednesday's practice open to the media, Justin Rogers of The Detroit News reports. Analysis: Coming off the Lions' bye week, Riddick seemingly is dealing with some sort of injury. In the end, his level of participation and the reason his practice reps were impacted will be known upon the release of Wednesday's injury report. Riddick rushed three times for three yards and caught two of three targets for 20 yards during Sunday's 31-23 win over the Packers. Analysis: Not only has Riddick received just eight carries on the season, but he's seen five or fewer targets in three of five contests. With Detroit looking to give rookie Kerryon Johnson all the work he can handle, Riddick seems unlikely to suddenly see a spike in usage anytime soon. However, that sentiment would change if the ankle injury Johnson sustained Sunday remains a concern after the team's Week 6 bye. 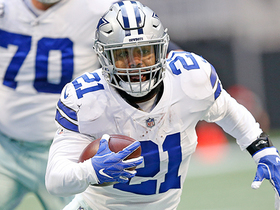 Riddick rushed once for seven yards while catching four of five targets for 20 yards during Sunday's 26-24 loss to the Cowboys. Riddick caught all three of his targets for 36 yards during Sunday's 26-10 win over the Patriots. Analysis: That's 17 receptions to just four carries for the scatback, who has not had a rushing attempt since Week 1. 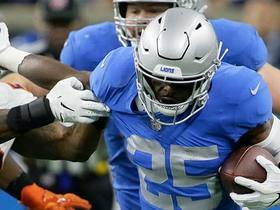 Riddick has always been a better receiver than rusher, but carries are even harder to come in Detroit now with LeGarrette Blount and Kerryon Johnson, who snapped the Lions' streak without a 100-yard rusher, in the fold. It's tough to rely on a back that doesn't -- you know -- carry the ball, but at 5.7 catches per game, he remains a PPR possibility. 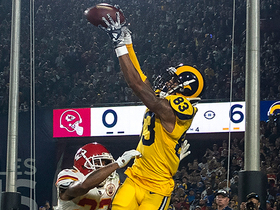 Riddick (ankle) returned to Sunday's 30-27 loss to the 49ers late in the fourth quarter, finishing the game with nine catches for 47 yards on 12 targets. Riddick injured his ankle in the fourth quarter of Sunday's game against the 49ers, Tim Twentyman of the Lions' official site reports. 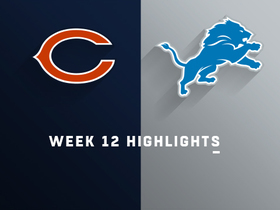 Analysis: Riddick is considered questionable to return as the Lions try to mount a comeback late in the game. He caught eight of nine targets for 39 yards prior to exiting the contest. 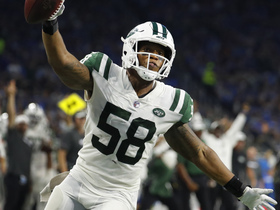 Riddick rushed four times for 20 yards while securing five of seven targets for 15 yards during Monday's 48-17 loss to the Jets. Riddick caught two of three targets for seven yards and took his only carry for a 10-yard touchdown in Friday's preseason game against the Buccaneers. 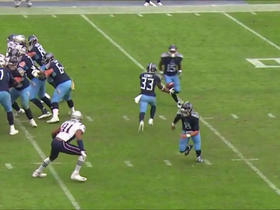 Analysis: Riddick drew all of his targets before halftime but scored the rushing touchdown late in the third quarter. He's locked in as the passing-down specialist in a backfield committee, with his weekly target count likely depending on game flow. Riddick may produce useful PPR statlines when the Lions are forced to abandon the run, but he'll also have some clunkers in games that favor the rushing attack. It'll be a long season for the Lions if Week 1 against the Jets turns out to be the former. Riddick didn't practice Tuesday, Michael Rothstein of ESPN.com reports. Riddick did not participate in Friday's preseason opener against the Raiders. Analysis: The reasoning for Riddick's absence isn't clear, though the running back did miss practice time earlier in the week with an undisclosed injury. Regardless, rookie Kerryon Johnson was the running back who got the rep on the Lions' first third down of the game, which could be something to keep in mind in case Riddick misses any time in the regular season. Riddick (undisclosed) returned to practice Tuesday, Justin Rogers of The Detroit News reports. Analysis: Riddick missed Monday's practice but apparently isn't dealing with anything serious. While there's plenty of competition in the Detroit backfield, Riddick's role on passing downs is the one area of certainty. Riddick (undisclosed) sat out practice Monday, the Detroit News reports. Analysis: Consider Riddick day-to-day for now. The 27-year-old's ability as a pass catcher ensures him a roster spot and change-of-pace role with the Lions. That said, volume could be an issue for Riddick this season, with Kerryon Johnson, LeGarrette Blount and Ameer Abdullah also part of the Detroit backfield. Riddick is part of a new-look Lions backfield that added Kerryon Johnson in the second round of the 2018 NFL Draft, Jeff Seidel of the Detroit Free Press reports. Riddick (ribs) rushed 84 times for 286 yards and three touchdowns while securing 53 of 71 targets for 444 yards and two touchdowns across 16 games in 2017. Riddick is questionable to return to Sunday's game against the Packers due to a rib injury, Dave Birkett of the Detroit Free Press reports. Analysis: At the time of his departure early in the third quarter, Riddick had four carries for 10 yards and two receptions (on three targets) for 12 yards. If Riddick doesn't reenter, the backfield will be the domain of Tion Green and Ameer Abdullah. Riddick rushed eight times for 16 yards while catching three of four targets for 23 yards during Sunday's 26-17 loss to the Bengals. Riddick (wrist) doesn't have a designation on the final injury report for Sunday's game in Cincinnati. Analysis: There was cause for concern when a wrist injury was reported, as Riddick had surgery on both wrists last December. It turns out the current issue is nothing serious, with Riddick managing full participation in every practice this week. He'll continue in his lead role against a slumping Cincinnati defense. Riddick (wrist) was a full practice participant Wednesday, Michael Rothstein of ESPN.com reports. Analysis: Riddick hurt his wrist during Saturday's 20-10 win over the Bears, finishing with eight carries for 49 yards, three receptions for 12 yards and a lost fumble. The injury initially seemed concerning for a player who had surgery on both wrists last December, but it turns out Riddick is merely dealing with a minor issue. 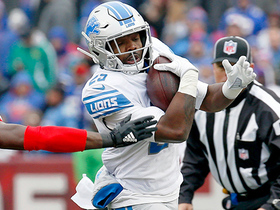 His ability to log a full practice suggests he should be able to continue with his leading role in the Detroit backfield for Sunday's game in Cincinnati. Riddick is questionable to return to Saturday's contest against the Bears due to a wrist injury, Dave Birkett of the Detroit Free Press reports. Analysis: Riddick has a history with his wrists, both of which underwent surgery late in the 2016 campaign as a preventative measure. With most of the fourth quarter to play, he has a chance to reenter this Week 15 tilt. If not, Riddick will have posted eight carries for 49 yards and three receptions (on as many targets) for 12 yards while losing a fumble. For the time being, Tion Green and Ameer Abdullah will man the backfield. Riddick appears to have surpassed Ameer Abdullah as the Lions' No. 1 running back, Kyle Meinke of MLive.com reports. Riddick rushed 10 times for 29 yards and two touchdowns and brought in six of 10 targets for 64 yards in Sunday's 24-21 win over the Buccaneers. Riddick carried nine times for 41 yards and a touchdown Sunday against the Ravens. He also caught all five passes for 41 yards in the 44-20 loss. Analysis: With Ameer Abdullah (neck) sidelined, Riddick received the start and tied his season high in carries. Although he averaged just 2.3 yards per rush, he had one of his better games of the season as a pass catcher as he finished third on the team in targets. Abdullah could return as soon as next week against the Buccaneers, but Riddick's role as the team's top pass catcher out of the backfield should remain unchanged. 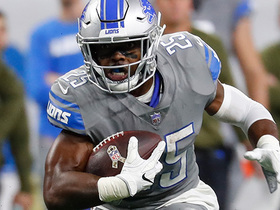 Riddick is starting at running back Sunday in Baltimore with Ameer Abdullah (neck) inactive, Tim Twentyman of the Lions' official site reports. Analysis: Riddick boasts a better YPC (3.6) than Abdullah (3.4) on the season, while the former has nearly doubled up the latter in terms of receptions (34 versus 20). As a result, Riddick may be better suited to produce against the Ravens' 22nd-ranked run defense. Riddick will only have to contend with Zach Zenner for touches due to the Lions' decision to make Dwayne Washington a healthy scratch. 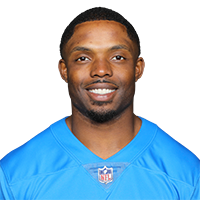 Riddick will likely draw the start at running back Sunday against the Ravens with Ameer Abdullah (neck), who is listed as questionable for the contest, not expected to play, Ian Rapoport of NFL Network reports. Riddick carried five times for 20 yards and caught one of two targets for 10 yards during Thursday's 30-23 loss to the Vikings. 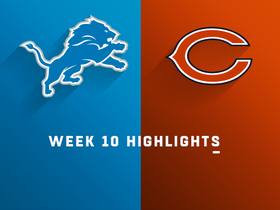 Riddick rushed nine times for 35 yards and secured one of two targets for four yards during Sunday's 27-24 victory over the Bears. Riddick rushed four times for 35 yards and caught all three of his targets for 12 yards and a touchdown in Sunday's 38-24 win over Cleveland. Analysis: Riddick's biggest plays came on an explosive 21-yard run and an eight-yard receiving score. His touchdown late in the third quarter tied the game 24-24, but was only Riddick's second trip to the end zone this season. While the receiving back provides solid PPR value, his infrequent touchdown rate makes him a marginal asset in standard formats. Riddick secured all four of his targets for 62 yards and rushed five times for 11 yards during Sunday's 30-17 victory over the Packers.